The Joint XXIV IGC and XI IRC congress will be held in Nairobi, Kenya, October 25 – 30, 2020. The theme of the Congress is “Sustainable Use of Grassland and Rangeland Resources for Improved Livelihoods’. 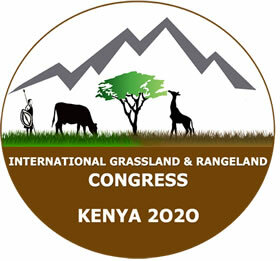 The aim of the congress will be to promote the interchange of scientific and technical information on all aspects of grasslands and rangelands: including grassland and rangeland ecology; forage production and utilization; livestock production systems; wildlife, tourism and multi-facets of grassland and rangeland; drought management and climate change in rangelands; pastoralism, social, gender and policy issues and capacity building, extension and governance. We look forward to seeing you in Nairobi in 2020. For more information, click the attached Flyer. The International Grassland and Rangeland Congress promotes interchange of information on all aspects of natural and cultivated grasslands and forage crops for the benefit of mankind, including sustained development, food production and the maintenance of biodiversity.